Native to southwestern North America. It has a range of traditional medical applications, including use as an antimicrobial, an antibacterial and to treat vaginal candidiasis. - the treatment of inflammation of the mucous membranes, swollen gums and sore throat. - a root infusion is used as a diuretic to treat rheumatic diseases like gout by ridding the body of excess uric acid, which causes painful inflammation of the joints. - prevention of uric acid crystal buildup in the kidneys which could causes kidney stones if left untreated. - powdered dried root can be sprinkled on infected areas to alleviate athlete's foot or diaper rash. 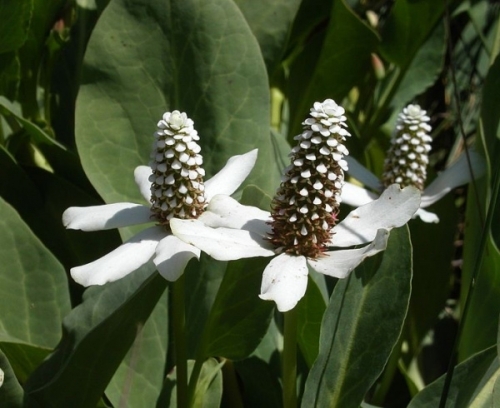 - leaves are used to make a poultice to relieve muscle swelling and inflammation. Also, dried leaves and flowers emit a spicy fragrance and are used in potpourri. Also known as Bear Root.